The Hachiko dog is the perfect companion: there is a legend about the bye devotion to kak in water and the desire to cooperate with the owner. And the story of Hachiko is one of the evidence of this. This is a great family dog ​​that will get along with children and help in difficult situations. By the way, when it comes to games with children, the Akita loses his mask of inaccessibility and returns to his childhood. This dog can play and spend time with kids for a very long time. This is also laid on the genetic level: Japanese aristocrats often used Akita as a nurse for their children. It is widely believed that the Akita is one of the most developed and accurate dogs in the world. Which again makes it possible to compare it with a samurai: they remember not only the commands, words and facial expressions of a person, but also the details of their life, to the extent that they ate for dinner on a certain day exactly a month ago. About these dogs can not be said that they are guided solely by instinct. For thousands of years, the character of Akita Inu has been formed. Changing their inuit with puppy applicability and specialization, the dogs acquired new qualities without losing the old ones. The character and behavior of Akita Inu dogs are built on paradoxes. For example, a dog may show incredible stubbornness and independence: it hates walking on a leash, chooses a place to sleep at home, and can easily disappear for a few hours. But at the same time, they are very strongly attached to the house and family in which they live, and they will definitely return to “their” door. Family and home – a priority for these dogs, they will protect and protect them until the last breath. However, the owner is important to remember the main rule: Akita Inu – equal to you! She will not tolerate your contempt or condescension towards yourself. She does not need excessive tenderness and insincere lisping. This is a companion dog, in the full sense of the word. When you go for a walk with a dog – you do not walk it, you take a joint walk with your best friend! Akita Inu remarkably get along in the same house with other pets, especially if she grew up with them. But while on the street, in dealing with other dogs, may show a slight aggression, and a tendency to dominate. Akita is particularly annoyed by small vociferous dogs that love to bark without a reason. Dogs of this breed are very sociable and inquisitive. If a new person comes to the house – Akita will meet him quite hospitably, but with chill. This is a mask that hides the interest of the dog in the new man. Its samurai nature prescribes as thoroughly and invisibly as possible for the object itself, to study it before expressing its attitude, which is caused by both the guardian genes and the hunting instincts. Hachiko and Richard GereIn spite of their advanced intelligence, in Akita training can show difficulty. 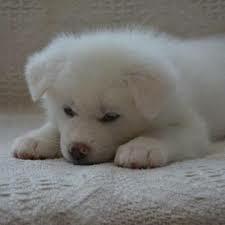 Starting to raise a puppy Akita need from an early age, but without overwork. Everything should be measured, with even, not strong intensity. Akita Inu is a late maturing dog. Finally, her character, temperament and attitude to the world around her are formed only by two years. This is also important to consider. 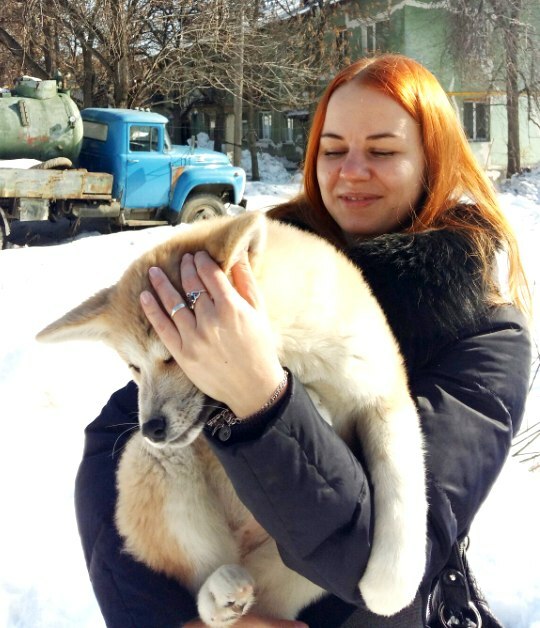 For example, if you want to raise a family dog, you do not need to often play aggressive games with an Akita puppy and provoke him to aggressive emotions. Training in which the dog must become very disciplined, but aggressive and tenacious at the command of the owner can only be trusted by a professional. Temperament Akita varied, almost like a person. Often etiakita inu with a toy dog ​​is very temperamental, and their mood can vary dramatically from relaxation to playfulness. But usually adult Akita understands when you can allow yourself to go crazy, and go a little crazy, and when not. 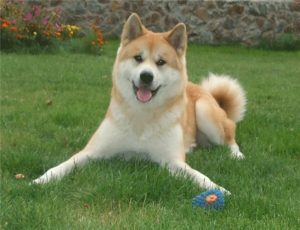 Akita is unpretentious in terms of the choice of housing, and will be able to get along well even in a small apartment. But with this dog, quite long regular walks and physical activity are vital: an acceptable mode of walking is an hour in the afternoon and an hour in the evening. The nature has presented these dogs with muscular athletic build, and the dog must develop and live so that it always remains taut and fast. Samurai dogs are always happy to play, but they are similar to the Huskies and other northern breeds in that they are fed up with the same type of games, and the owner needs to be creative in order to really interest the dog. 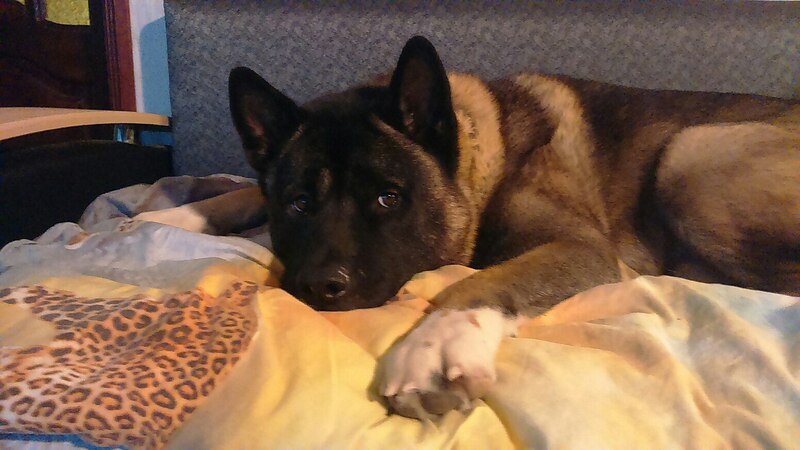 Akita Inu Mordochka Care can not be called even a little difficult, but still, he will have to devote a sufficient amount of time. Basic grooming and fluffy soft undercoat – grooming. Cut and trim these dogs is not accepted. Akitas molt often and abundantly. Obligatory seasonal molting takes place twice a year, and lasts for several months. During the period of molting, wool needs daily care, with the help of several versatile combs. In normal times it is enough to comb a dog 1-2 times a week.